"I really wanted to show off Chop and Franklin this time around. I love the fact that you can finally have a dog in GTA game now. What a great feature! I can't wait for this game, it's going to be great!" He also adds that he will be featured in The Official PlayStation Magazine UK with an interview and showcasing a bunch of his work including this one. Click for full size above and check out his deviantART page here. Join the discussions in the GTA V forums! Sorry, but Patrick can´t draw. His artworks are very ugly. it looks good it just the dog scares me a little lol. 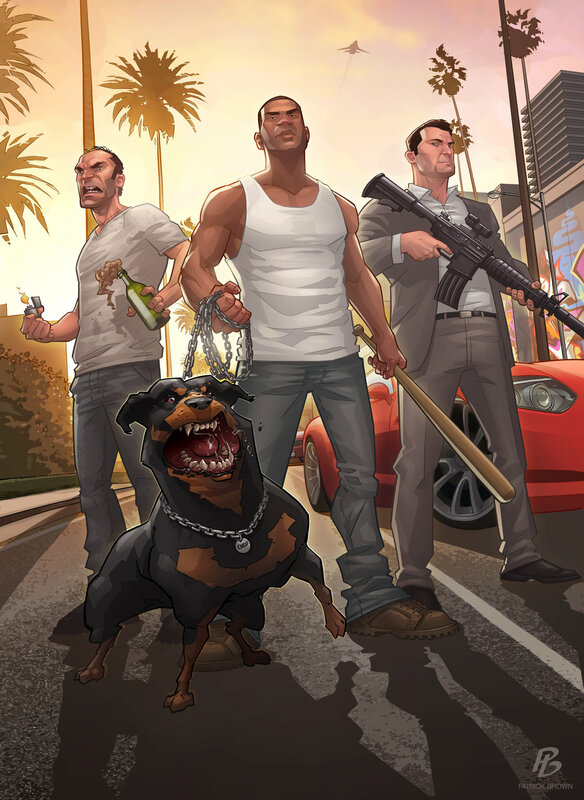 New Patrick Brown Artwork: The Standoff - Patrick Brown releases his second Grand Theft Auto V artwork titled "The Standoff".